I apologize for the long silence here. I had a serious health crisis that required surgery and that sidelined me for some time this summer. I could not drive, but was lucky enough to have a number of people drive me around to visit the nests during my early convalescence. 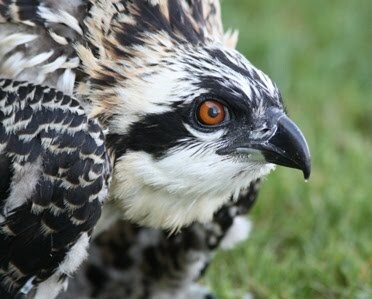 I managed to keep the Facebook page going with short updates thru this period ( "Twin Cities Metro Osprey Watch" on FB). I only missed about ten days to two weeks of activity on most nests. I am on my way to full recovery now and am driving and visiting nests as much as I can to determine final outcomes. I do have a few holes and questions which may remain unanswered. I have witnessed some exciting and unusual behaviors and will be writing more about that later. I believe I have the topic for my next research paper! As the season changes, so do the behaviors. I am visiting nests for final outcomes, searching for the juveniles and adults. I often find those males perched somewhere high in their territory, looking out for their offspring, snoozing, being there in case some youngster comes back to the nest screaming in desperate hunger...and those that do, are usually females. I watch the males drop a fish and get the heck out of there quickly. I observed a young osprey flying with a young redtail...both were flipping and turning and divebombing...but somehow it did not seem aggressive. No alarm calls, just seemed like playful practicing of their aerial manuevers. It was fun to watch. I am still finding some chicks on or near the nests, adult females are harder and harder to find...some have not been seen since the third week of August now. Male chicks seem to disperse from their natal territory more quickly than females. Its a wistful time of year for me...life is less interesting without Ospreys around to watch. I will keep searching, every free day I have until I cannot find any more Ospreys. I appreciate the reports that are still coming in from volunteers. Thank you all SO much.